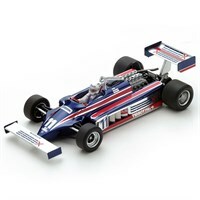 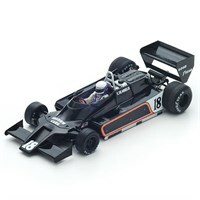 Spark 1:43 resin model of the #18 Shadow DN9 as driven by Elio De Angelis in the 1979 American Grand Prix. 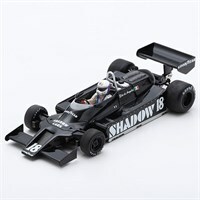 Spark 1:43 resin model of the #18 Shadow DN9 as driven by Elio De Angelis in the 1979 Belgian Grand Prix. 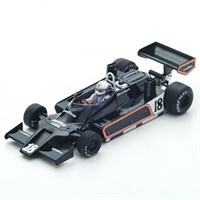 Spark 1:43 resin model of the #18 Shadow DN9 as driven by Elio De Angelis in the 1979 Argentinian Grand Prix. 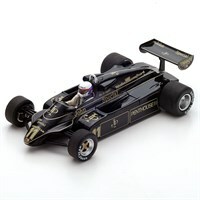 Spark 1:43 resin model of the #11 Lotus 87 as driven by Elio De Angelis in the 1981 Monaco Grand Prix. 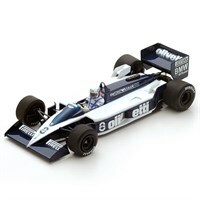 Minichamps 1:43 diecast model of the #11 Lotus 94T as driven by Elio De Angelis in the 1983 Formula One season.